Edward "Edward" Abgaryan (Armenian: Եդւարդ Աբգարյան) is a coach for Rogue. He was previously known as GoSu Pepper. 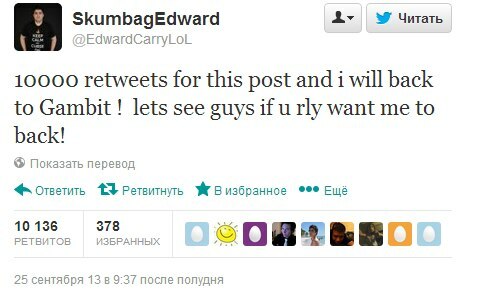 Edward is an Armenian League of Legends player who lives in the city of Omsk, Russia. He lives with his parents and older brother, who happens to be a League of Legends player. He has been playing LoL since the NA Open Beta. He played with against All authority and various Russian teams before meeting Alex Ich, who recruited Edward to his team at the time, Empire. After joining Empire, Edward recruited his friend Diamondprox to the team. He splits his time between LoL and his university studies. On March 10, 2012, M5 would attend the IEM Season VI - World Championship in Hanover. Reproducing their results from Kiev, Moscow 5 once again went undefeated in group stage 5-0, beating SK Gaming, Curse Gaming, Team SoloMid, Sypher, and EHome. Edward would play a crucial role as Support, assisting his team and helping continue their winnning streak in the playoff bracket, beating Counter Logic Gaming Prime 2-0 in the semifinals and defeating Dignitas 2-0 in the finals, to take home first place. This tournament would mark a high point in Moscow 5's history, as they were able to come out of the tournament not only victorious, but able to do so while not dropping a single game throughout the entire competition. At the Season 2 World Championship in October, Edward and his teammates were considered by many analysts and professionals to be the favorites coming into the event. They were given a bye through the group stage and were selected to face Invictus Gaming in their quarterfinal match. Although iG consistently pressured M5's early game and won the laning phase, the Russian squad was able to overcome their deficits in the midgame and take the series 2-0. Advancing to face the Taipei Assassins in the semifinals, M5 continued their dominant form in the first game of the match and quickly secured game one. However, TPA matched M5's aggression in the next two games and successfully turned the series around. The Taiwanese team took the set 2-1, and Moscow Five was forced to settle for 3rd-4th place and $150,000. After the Season 2 Championships, Edward's team would attend the European tournament Tales of the Lane from October 27 through November 11, 2012. They would emerge as first in their group stage 3-1, with wins against Curse EU, Eclypsia and MYM, but losing to the hungry IWantCookie. They were granted seeding directly into the semi-finals due to their placing in the group stages. On November 11 M5 would travel to Paris to compete in the offline portions of the tournament. There they would face an upset from Curse EU, losing 0-2, knocking them into the 3rd place match. They would finish the tournament with a sweep of SK Gaming, taking 3rd and €5,000 in winnings. On November 22, 2012, Moscow 5 had the great opportunity to fly to Shanghai to attend the TGA Winter 2012 event. While not contestants in the tournament itself, the team would look to boost their popularity with the Chinese tour, doing photo ops, fan signings and Mandarin greeting videos. M5 also played two show matches against WE and iG, winning against both. They would leave China on November 27, flying directly to Las Vegas to attend IPL 5. On Day 1 of the IPL event, Edward and M5 would advance through the group stages by defeating Curse Gaming twice and dropping a game to world champions, Taipei Assassins. They would then face World Elite, who they scrimmed against heavily in Shanghai. However, WE would rout the Russian team 2-0, dropping them to the losers bracket. M5 would then defeat the tournament favorites, Korean powerhouse Azubu Blaze in a close 3 game series. M5 would get a chance to avenge their loss in the Season 2 World Championship against TPA in round 5. Despite Alex Ich amassing an amazing 538 creep score and leading in gold to the very end of the game, M5 would still fall to the Taiwanese team in game 1, and lose again to Stanley on Nidalee in game 2, making it five consecutive loses to TPA. M5 would finish the tournament in 4th place and earn $3,000 in winnings. On January 10, 2013, resultant of the arrest of Moscow Five's CEO in July of the previous year, leaving, the entire roster was released from the eSports organization as it went defunct due to lack of funding. Four days later, on January 14, it was announced that Gambit Gaming had acquired Edward and the rest of the former M5 roster. Marking their first appearance in an offline event as Gambit Gaming, in late January of 2013, the Russian team would compete in IEM Season VII - Global Challenge Katowice as one of the eight qualified teams. Gambit Gaming would go 1-2 in the group stage, winning against MYM, while losing to Curse Gaming EU as well as Azubu Blaze. Because of this, the round robin had a tie of MYM, Gambit, and Curse Gaming EU, who all went 1-2. A time coefficient was used to break the tie, giving Gambit Gaming a spot in the semi-finals. Edward would help his team, the underdogs, to defeat Azubu Frost 2-0, then go on to take first place by knocking out Frost's brother team, Azubu Blaze who they had lost to in the group stage. Gambit Gaming took home $15,000 USD (~11,609 Euros) as well as a direct seed into IEM World Championship. Having qualified as Moscow Five, Edward and company would compete in the Riot's new professional league for Season 3, the European Season 3 League of Legends Championship Series. Gambit would be a highly respected threat throughout the 10 week Spring league, being one of the most feared teams to play against, with Edward making exciting plays on his notable hook champions, Thresh and Blitzcrank. They would complete the European Spring LCS Split in 2nd place, with a record of 21-7. This ensured their LCS spot for the summer split portion of the league. They would then take second place in the Season 3 EU Spring Playoffs, losing 2-3 to Fnatic. Gambit with Edward attended the IEM Season VII - World Championship in Hannover, Germany held in March. The team dominated their group, going an undefeated 5-0, placing them in the semi-finals. They then faced CJ Entus Frost and lost the set 2-1, knocking Gambit out of the tournament, the team finishing in 3rd. The Russian players were then invited to play in an international exhibition at 2013 MLG Winter Championship, playing first against American Team Dignitas who they beat 2-0, by constantly pressuring their opponent. Gambit then faced Korean top contender KT Rolster B in the exhibition finals but were unable to secure 1st place, losing 2-1. In April, Edward, with teammates "Alex Ich","Diamondprox" and "Genja" were publicly voted to represent their respective lane positions on the Europe LCS All Star team, to compete at All-Star Shanghai 2013, playing against the world's best All Star teams, chosen in the same fashion. However, due to a rule stating that only 3 members of any given team could be inducted onto the all star team, Genja was replaced as AD Carry by Evil Geniuses' Yellowpete. 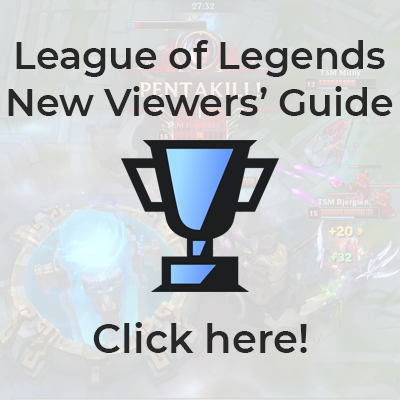 The team's top lane was sOAZ from Fnatic. The EU LCS first faced off against heavy favorites Korean OGN Champions, and despite good early gameplay from jungler Diamondprox, the Korean team overtook them in a 2-0 set. Their next opponent was their sibling league, the North America LCS. Both teams played an explosive two games of up and down fighting however, NA LCS ended up being the victor, knocking the EU LCS out of the tournament. Despite the acquisition of Edward, Curse had a shaky Summer season, fighting hard to stay in the middle of the pack. They did end the season in a 4th place spot, going into NA LCS Summer Playoffs. They first faced off against Team Dignitas and even though they won their first game in a dominating fashion, they lost the next ones, losing 1-2. They then had to play CLG for the 5th spot decider. Curse was unable to best them in the set, losing 0-2, and were sent to play for their spot in the Season 4 Spring Promotion, though Edward would leave before this. After his departure from Team Curse, Edward planned to return to the EU LCS. He eventually did so, by rejoining his former team Gambit Gaming on the 7th of November. Edward made his comeback to Gambit at IEM Cologne. The team did not lose a single game at the tournament, beating Cloud9 in their semifinal matchup and Fnatic in the grand final. His next tournament back with Gambit Gaming was the IEM World Championship. The team perfomed well, but were knocked out in the semifinals by KT Rolster Bullets. The Spring Split was a slight disappointment for Gambit. Despite Edward's convincing displays on Thresh and Annie, the team only managed a 5th place finish in the split. This was a fall from Gambit's high standards, but still meant that they had a spot in the Spring Playoffs. Edward and the team only ended up coming 5th in the tournament after losing to Team ROCCAT in the quarterfinals. Alex Ich's departure from Gambit ultimately meant that the Summer Split would be worse for the team than the spring split. Gambit struggled throughout, and the team finished in 7th place, meaning that they would have to fight for their LCS status in the Spring Promotion. Edward and Gambit held on to their place in the LCS, beating SK Gaming Prime in their promotion match-up. Due to being fan-voted in, Edward and Gambit Gaming took their place at IEM Cologne. They managed to win the tournament after beating Counter Logic Gaming in the final. Gambit Gaming had a successful Spring Split, finishing 4th in the regular season, partially thanks to Edward's impressive performances on Thresh and Morgana in particular. The team's regular season performance meant that they would be playing in the Spring Playoffs. They were beaten 3-1 by Unicorns Of Love in the playoff quarterfinals. Due to their 1st place finish at IEM Cologne, the team were invited to compete at the IEM Season IX - World Championship. After a Round 1 loss against the CJ Entus, Edward and Gambit Gaming were knocked out of the tournament, losing to Team WE in Round 1 of the losers bracket. After changing his name back to GoSu Pepper, he and the team had an unsuccessful Summer Split, eventually finishing the regular season in 8th place. This meant that Gambit Gaming would be playing in the 2016 Spring Promotion. GoSu Pepper and the team faced mousesports, winning the series and securing their place in the 2016 Spring Season. GoSu Pepper announced his free agency in November 2015, leaving Gambit for the second time (the first being summer 2013). Edward is known for making support Nunu popular. His Nunu ultimate against SK and other impressive performances strongly contributed to this. He has a very high opinion of Sona and even calls her "perfect", due to the damage, ability to heal and utility that she offers. Known for being bad-mannered towards his opponents, but has changed his behavior as of late. His first League of Legends nickname was "Immortalrus"
Started playing League of Legends on the NA server. Thresh became his new favorite support champion when he was released, and Edward was dubbed "The Thresh Prince" for his skill with the champion. Known for his aggressive playstyle and often getting more kills than his carry, earning him the name "Support Carry". Trolled the community about his return to Gambit Gaming after he left Team Curse in early October , but then actually returned to Gambit Gaming on 7th of November. Stated the first champion he ever mastered was Janna.